Lake Baikal, located in the vicinity of the cities of Irkutsk and Ulan-Ude (both stops of the Trans-Siberian), is a unique natural site in the world for many reasons: the vast richness of its landscapes, its biological diversity, fusion of cultures, the charm of its villages and towns. In this article I will tell you what to see and do in Lake Baikal and how to organize a trip, step by step, to some of the most important places in this lake, such as Shaman Rock or the Circum-Baikal route, among others. Some trivia and enigmas, true or false? Lake Baikal or, simply the Baikal (as we called it at home), has always fascinated me by its immensity, by its diversity, and by its landscape and biological wealth, in the extensive and exuberant Siberia. To this we must add the purity, transparency and luminosity of its waters, and the charms of the villages, towns and cities that surround it. It is a place to visit not once but twice in life, once in summer and once in winter. If you love nature, spirituality and of outdoor tourism, in Lake Baikal you will find a fascinating destination from which to approach the once enigmatic Siberia, as well as a place with exotic resonances and unique cultures, thousands of kilometers away from Moscow. Lake Baikal is the largest freshwater lake in the world, as well as the deepest. In addition, its waters are very little turbid. They say it originated 25 or 30 million years ago. It is surrounded by mountains with beautiful cliffs and taiga, the or woodlands of the region. It is located between the province of Irkutsk and the Republic of Buryatia, in the region of Eastern Siberia, in the continental territory of Central Asia. It is a World Heritage Site since 1996. Lake Baikal also has a very obvious scientific and ecological interest, due to its biodiversity in flora and fauna, as shown by 852 plant species and 233 varieties of algae, to which we must add 1,500 species and varieties of animals, with numerous endemism. You can appreciate the seals of Baikal in the clarity of the waters of the lake. 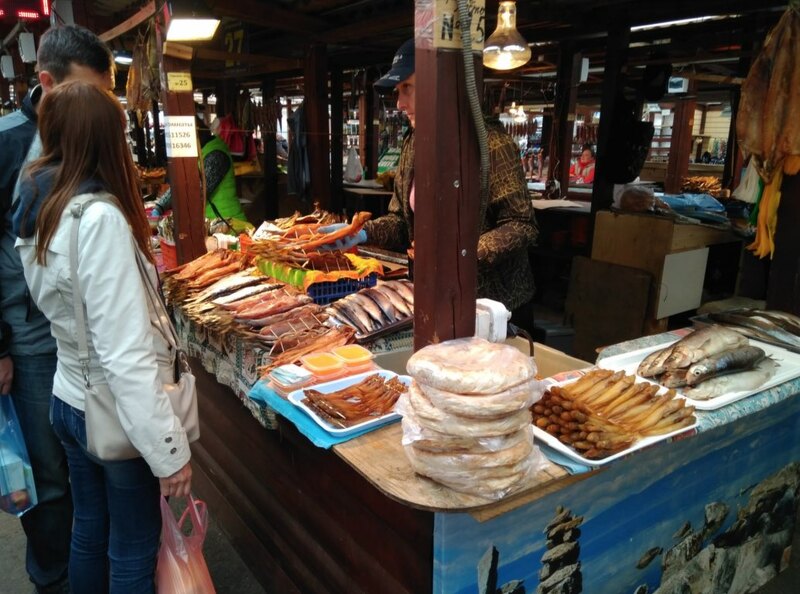 Also, the omul fish, of the salmonid family, which is prepared smoked in the markets of the area and which I recommend tasting if you have occasion. In addition, it is a very valid place to observe neutrinos, whose search is being enhanced. These are very difficult particles to find on Earth, which provide data about life on other planets. Despite some ecological problems, such as some illegal dumping, the felling of trees and the contamination from a paper mill, there is a clear awareness on the part of the Russians to protect this privileged space of nature, pride of all Russia. It has a length of 636 kilometers and a maximum width of about 80 km. It has more than 20 inner islands, the largest of which is Olkhon. It occupies an area of more than 31,000 km2. The maximum depth is about 1,680 meters, but if the accumulated sediment were removed it would be 9 kilometers. It is located at an altitude of 455.5 meters above sea level. Contains 23,600 km³ of water. The main name, Baikal, comes from the Tatar word Baikal, which means “rich lake”. Many Russians call the lake “Baikal sea”. In the Buryat and Mongolian languages it is called the “Sacred Sea” (“Dalai-Nor”). Around the Lake Baikal there are curiosities and other more enigmatic facts like the sighting of UFOs. The crab called Epischura, an endemic species, is fundamental in the food chain. Despite measuring only about 2 millimeters in length, its ability to filter the water makes the lake so clear, among other natural reasons. 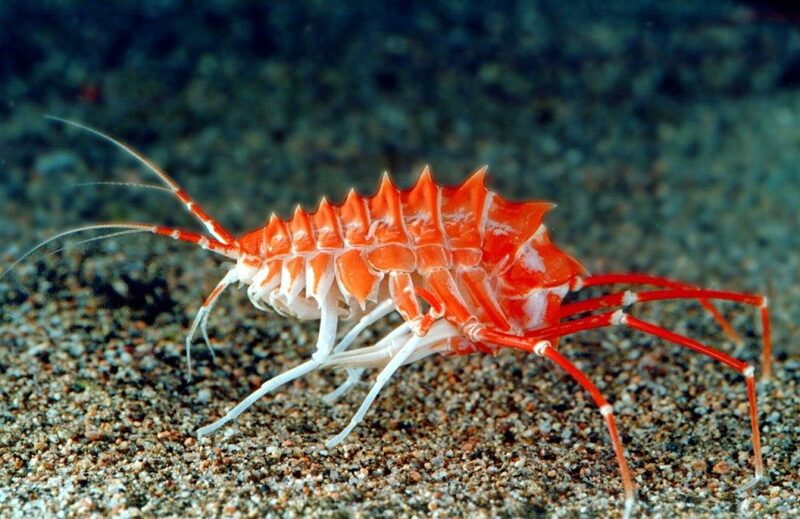 It is estimated that up to three million epischura can inhabit a cubic meter of Lake Baikal water. At the bottom of this lacustrine space there is a stainless-steel pyramid engraved with the Russian coat of arms. Finally, a legend tells of the existence of a dragon known as “lusud khan” or “usan lobson khan”, seen with different sizes, a kind of “dragon fish” of fearsome aspect. 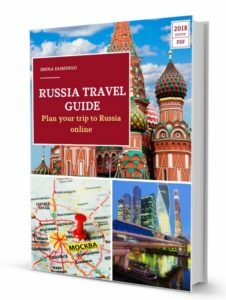 The distance to Moscow is not an obstacle to get to Lake Baikal, either by plane to the cities of Irkutsk or Ulan-Ude (the latter close to Mongolia); or through the multiple options offered by the railways that transit the Trans-Siberian Route. If you are coming from Moscow, to visit the surroundings and you are not in a hurry, the ideal is to first stop and stay at least a couple of days in Irkutsk and from there make the excursions to Baikal. From Irkutsk you can take the Trans-Siberian Railway to the next stop, Ulan-Ude, a city where you can spend a night. If you want to get to Baikal as quickly as possible, you will have to take a plane with one of the Russian companies that make this trip, such as Aeroflot, Ural Airlines, S7 Airlines or Pobeda (Aeroflot’s low-cost airline). Hay salidas desde Moscú hasta Irkutsk (a unos 5.200 kilómetros) o hasta Ulán-Udé (a unos 5.600), un poco más al sur. 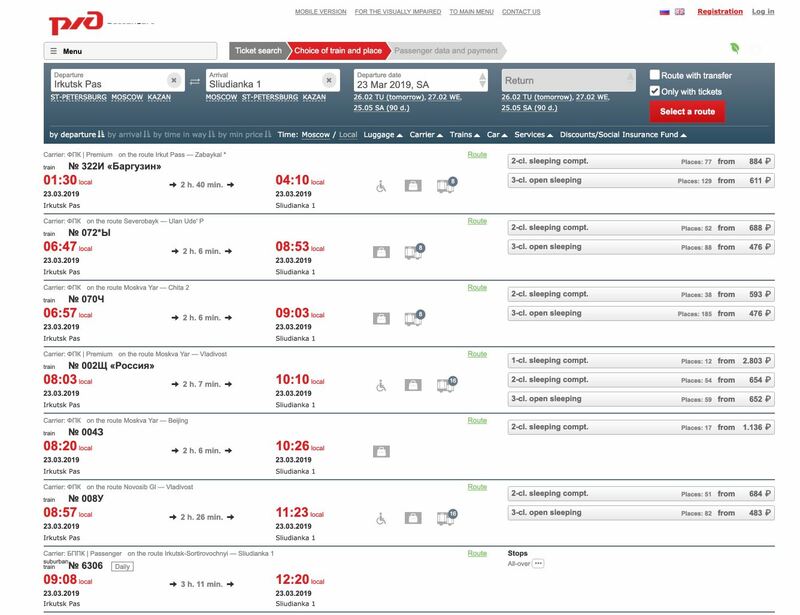 These are flights without direct stops and with a duration between 5 hours and a half and 6 hours. 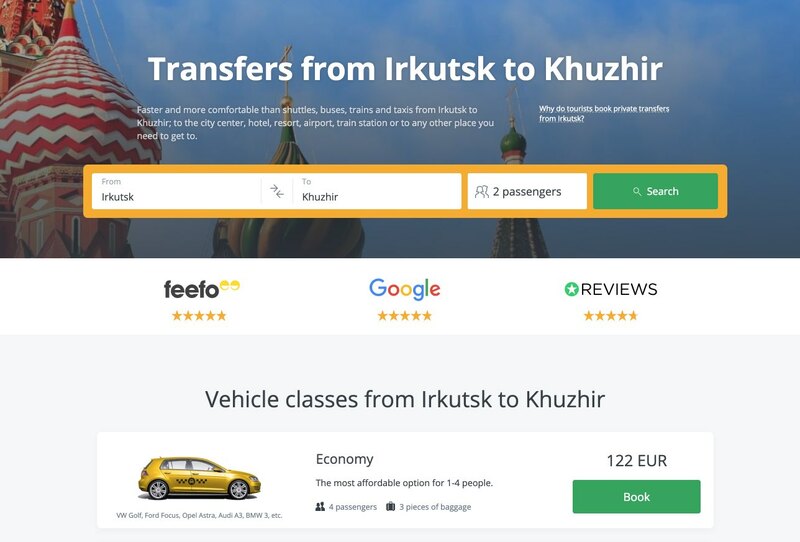 The cost of a round trip ticket in summer between Moscow and Irkutsk can cost around 400 dollars (it is more economic in winter). The Irkutsk airport is only 5 kilometers away from the city. 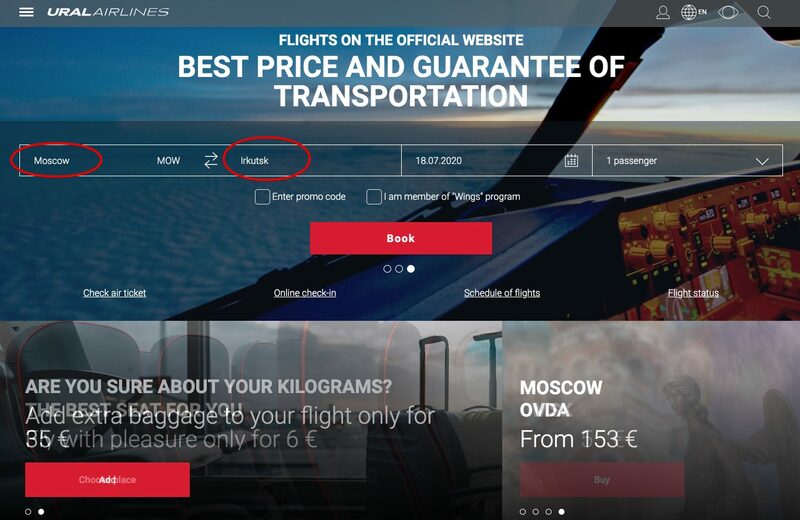 The best way to find the cheapest flight is to use a flight comparator such as Momondo. Once there, if you want to move between Irkutsk (capital of the province of the same name) and Ulan-Ude (the capital of Buryatia), it will take about 7 hours (either by train or car), since you have to skirt around the Lake Baikal for 458 kilometers. The second option, with much more charm than the previous one, is to arrive by train through the Trans-Siberian Route, which has stops in the two cities mentioned above: first in Irkutsk and then in Ulan-Ude. 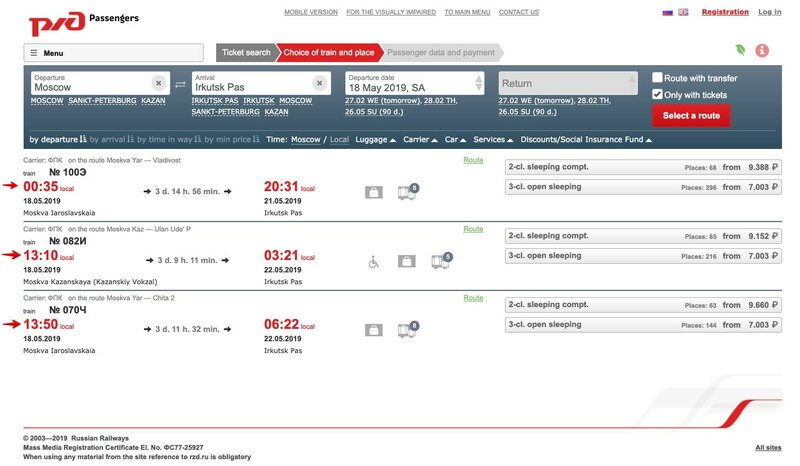 The train journey from Moscow to Irkutsk can take about 3 days and a half hour, if you don’t make any stop and you sleep in the train, but the ideal is to buy the tickets in sections and go before making stops in some cities (either to pass the day or night), such as Yekaterinburg or Novosibirsk. 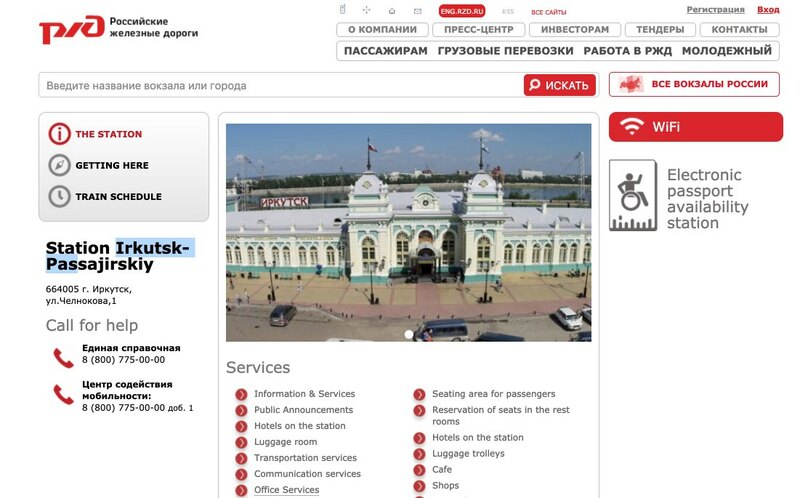 The cost of the one-way direct journey by train from Moscow (stations of Kazan or Yaroslavl) to Irkutsk main station (Irkutsk Pas) in a second-class compartment for 4 persons is about 10,000 rubles (about 7,000 rubles in an open compartment) third class). Tickets can be purchased on the RZD website or on TUTU Travel. In addition, after the Ulan-Ude stop, you can continue to the capital of Mongolia, Ulan Bator (just under 600 kilometers away), or further away, to Beijing, the Chinese capital, on the so-called Transmongolian Route, an extension of the Trans-Siberian. Obviously, the best time to visit the Baikal is in summer. However, those of you who are more adventurous also have other more daring options in winter and the rest of the year. The snowy landscapes of Siberia are splendid from the train, as well as frozen Lake Baikal, but summer is preferable because the days are longer and the climate is obviously much more benign. The climate of eastern Siberia is continental. 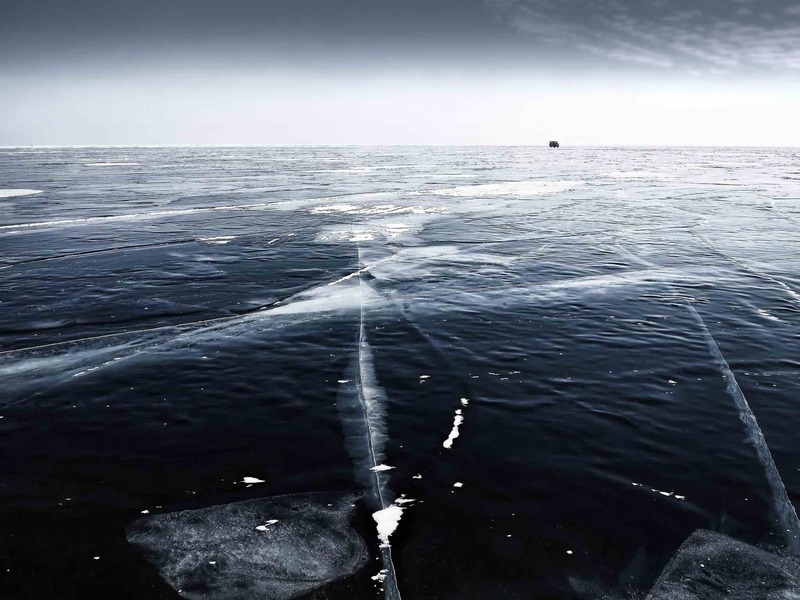 Lake Baikal begins to freeze in December. Everything is frozen, that is, its more than 31,000 km2, from January to May-June, like an infinite ice rink. In winter, the temperature is -21 degrees, a little higher than in the nearby regions due to an unusual microclimate. The days are really short. The thickness of the ice can reach 1.5 meters in many places. The clarity of its waters means that through this we can observe an intense underwater world composed of fish, plants and rocks up to 40 m of its surface. In summer the temperature reaches 16 or 17º C, even a little more in the shallow bays (22 or 23º). From June 15 to August 15 is the ideal time to travel, since the days are usually long and sunny. In late autumn and early spring, you will have to be aware of rain and strong winds. The instability is predominant. Until mid-June the climate is cool. In May the ice begins to melt in the Baikal. Take a short excursion from Irkutsk to see Listvyanka and the Chersky Stone, and during the tour stop halfway in the Talsty Museum. Olkhon Island, Kuzhir and the Shaman Rock (Shamanka or Cape Burkhan), the most famous site of the Baikal and that you will have seen in countless photos. The ideal is to make a hotel night on the island. 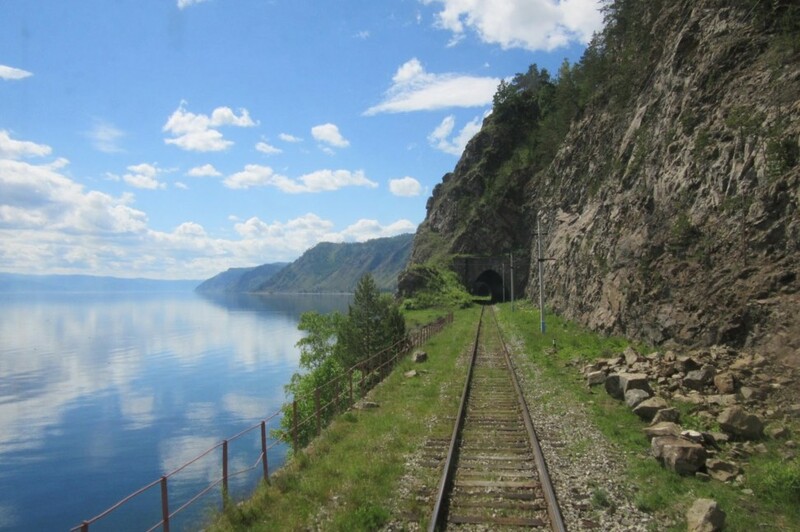 The Circum-Baikal Railway, a picturesque historic railway line that runs along a small stretch of coastline at the southern tip of Lake Baikal from the town of Slyudyanka to Port Baikal. If you have more time, the ideal thing you can do is to complement the excursions with some adventure activities, such as mountain biking, kayaking or horseback riding, and end the day enjoying an authentic Siberian Russian banya. 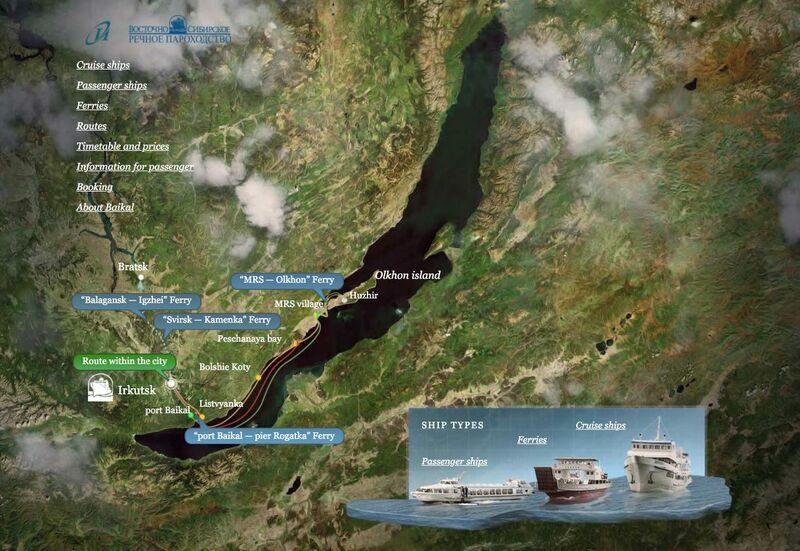 I will tell you how to organize the visit to Lake Baikal, starting with Irkutsk, the starting point of the excursions. A city of more than 600,000 inhabitants and stop of the Trans-Siberian Route, and from which we will access to the south to Lake Baikal and its surroundings by car, bus or taxi. Crossed by the Angara river, tourists usually stay in Irkutsk for a day or two. You will meet many Germans, Chinese and Japanese. Note that the historic center of this city and the wooden architecture scattered around the city. In the tourist portal of the city you can find more information. 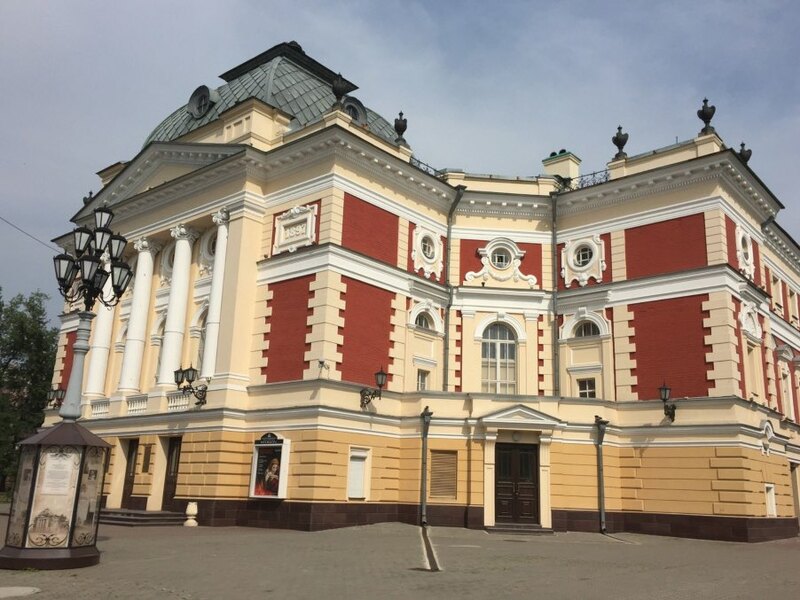 I highly recommend a visit to the beautiful Dramatic Theater, the oldest theater in Eastern Siberia and the flagship of the creative movement and the development of the Irkutsk region. The representations that can be seen in this theater are of high quality. The museum or complex dedicated to the Decembrists has its origin in the famous uprising of December 1825 in St. Petersburg, of the rebels with the same name, against Imperial Russia. Most of these rebels were deported to Siberia as punishment. Then their women followed them with great sacrifice. 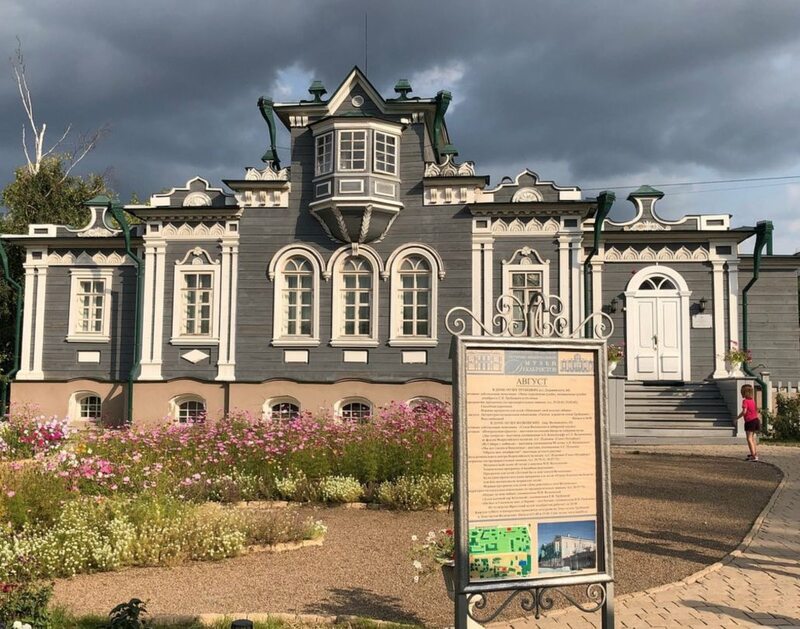 The museum shows the life of a noble family that was exiled to Siberia for participating in the aforementioned uprising. You can see the customs of the time, its library, its dance hall, etc. It is a little further away from the center, but it is worth it to walk around to see this beautiful Orthodox cathedral, both outside and inside. 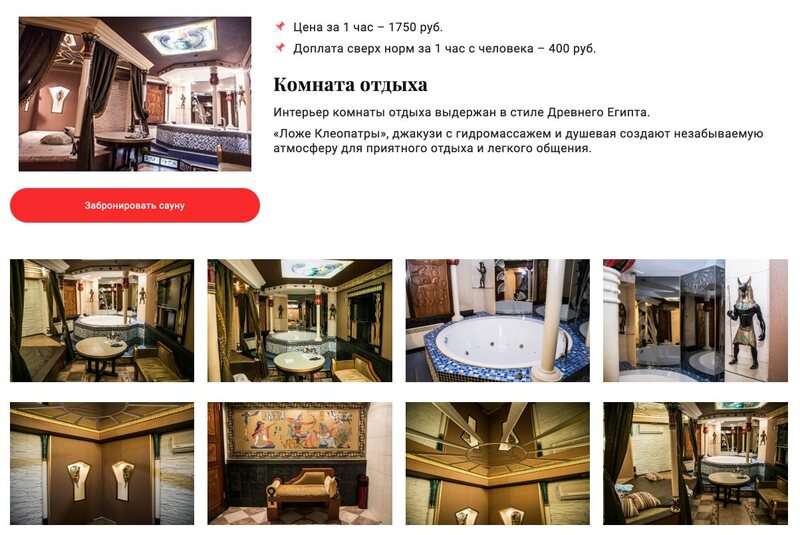 Although it must be noted that it is not necessary to travel to Siberia to enjoy a good banya, but you can also do it in Moscow. 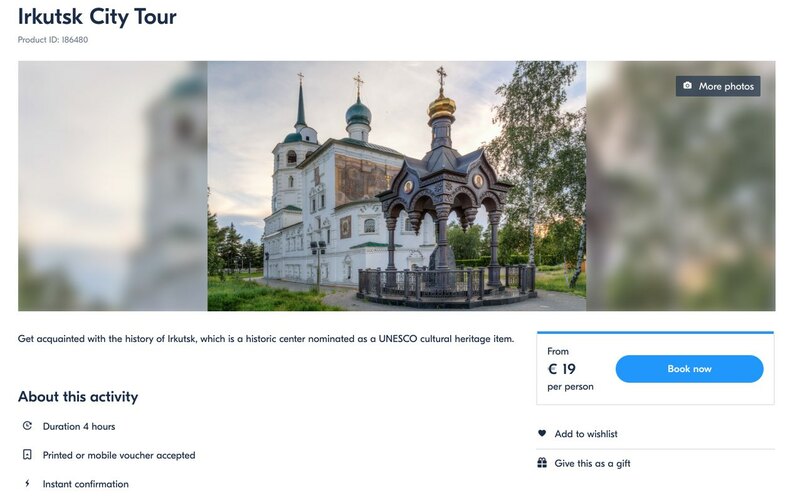 If you prefer, there are also companies that organize guided tours of the city of Irkutsk to show you all the charms of this city. 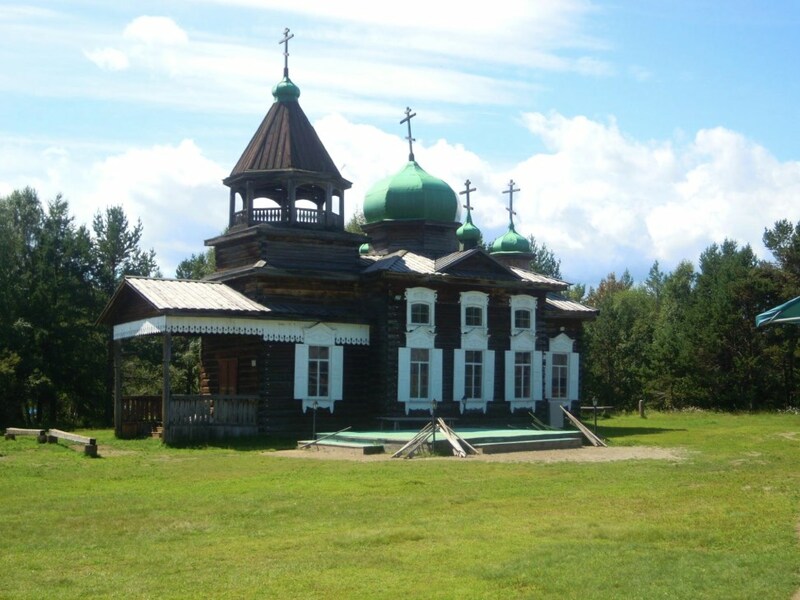 At 47 kilometers from Irkutsk on the Angara river and in the direction of Listvyanka, you will find the Talsty Museum. 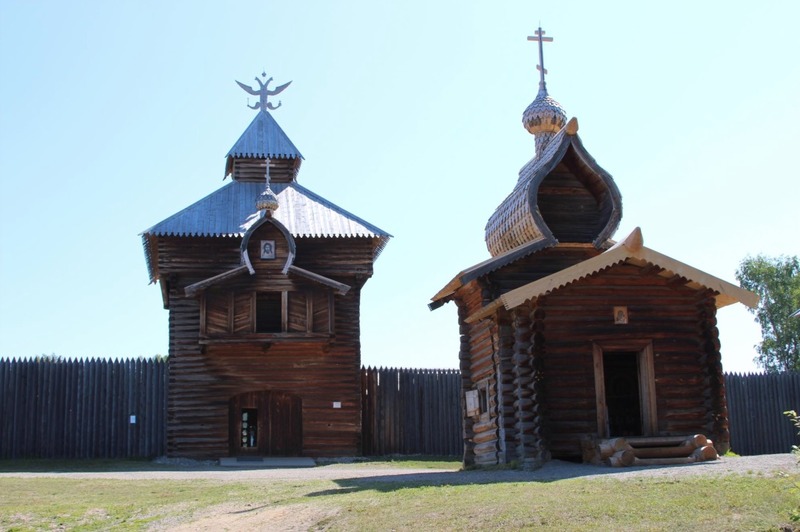 It is an open-air museum that shows the life, customs and traditional architecture of Siberia. There are organized events and markets. It occupies an area of 67 hectares, including beautiful natural landscapes. 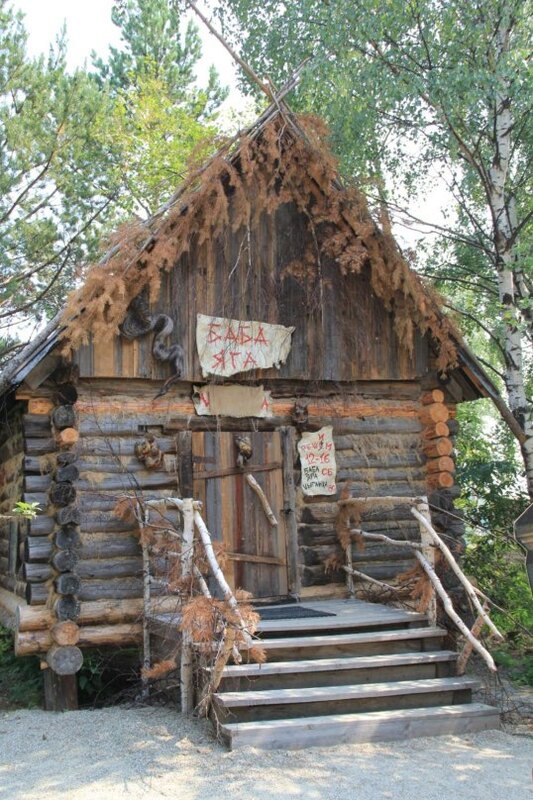 A must visit site is the home of the witch Baba Yaga, a villain in Russian fairy tales. Once you have finished your visit to the Taltsy Museum, you can go to Listvyanka, the gateway to Baikal and the first point of arrival to this imposing lake. Visited by many Russian and foreign tourists. It is worth going to the Baikal Limnological Museum, where the rich flora and fauna of the lake are exposed. Also, very close to the population of Listvyanka, at a height of 728 meters, you will find the Chersky Stone. It is a magnificent observation platform on top of a hill. 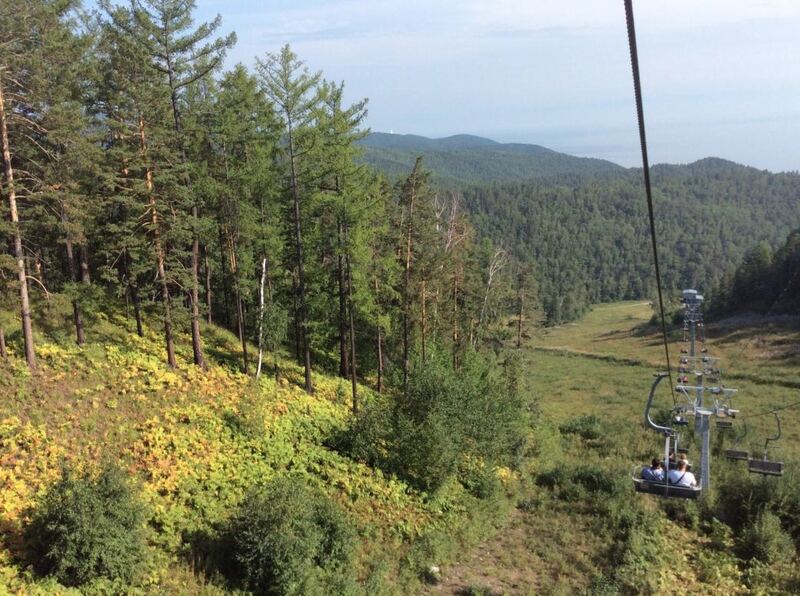 You can also go on a ski lift to have an extraordinary panoramic view of Lake Baikal and the Angara River. 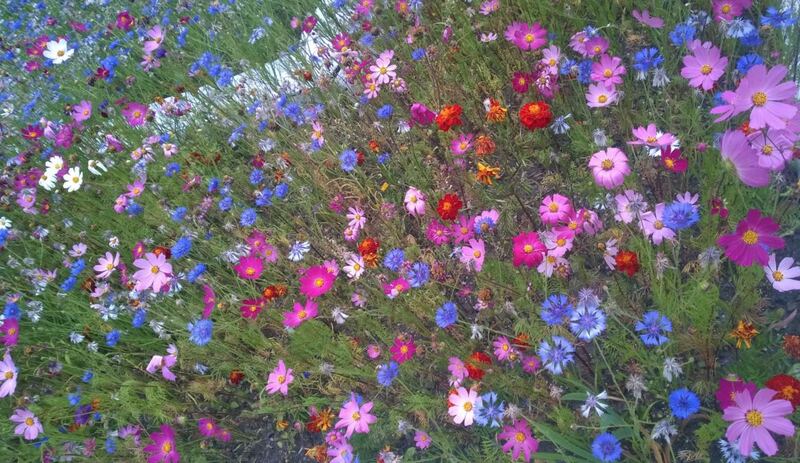 If you are going by foot, the path is beautiful. On the way you can see colorful ribbons of a spiritual meaning linked to shamanism. When the day is clear, you can see the Khamar-Daban mountain range, on the opposite shore of the lake. Olkhon Island is the largest island of Lake Baikal, with 71 kilometers long, and the third largest lakeside in the world. The population, of about 1,500 inhabitants, is distributed in an area of ​​730 square kilometers, whose highest point is the Zhima at 1,276 meters (about 818 meters above the water level of Lake Baikal). It is worth visiting for its rugged nature and mountains, worthy of the most demanding hikers, and for the Shaman Rock. It has its own lakes. The most important town of this island is Kuzhir, inhabited by Buryats, and it has archaeological ruins and a prominent fishing environment. It is visited by many tourists. It didn’t have electricity until 2006. In the north end of the island we have the Khoboy Cape, from where you can sometimes spot the seals of Baikal, the only existing mammals. 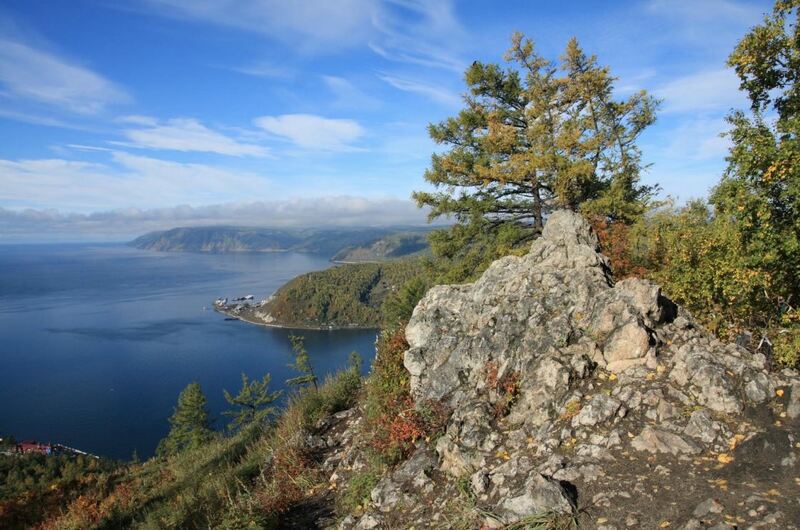 Near Kuzhir, there is the Shaman Rock, probably the most famous spot of Lake Baikal. Also called Shamanka, it is one of the nine most sacred places in Asia and a very important shamanic enclave. To go from Irkutsk to the Island of Olkhon and Kuzhir you have three options: either by minibus, boat or taxi. If you don’t like the minibus schedules or you are with several people, there is also the possibility of renting a private taxi that will take you in about 5 hours to Kuzhir. Of course, the cost will be higher: about 140 dollars per trip (if you are 4 people, it would be around 35 dollars per person). For example, it is possible to book a taxi to travel with the company KiwiTaxi. 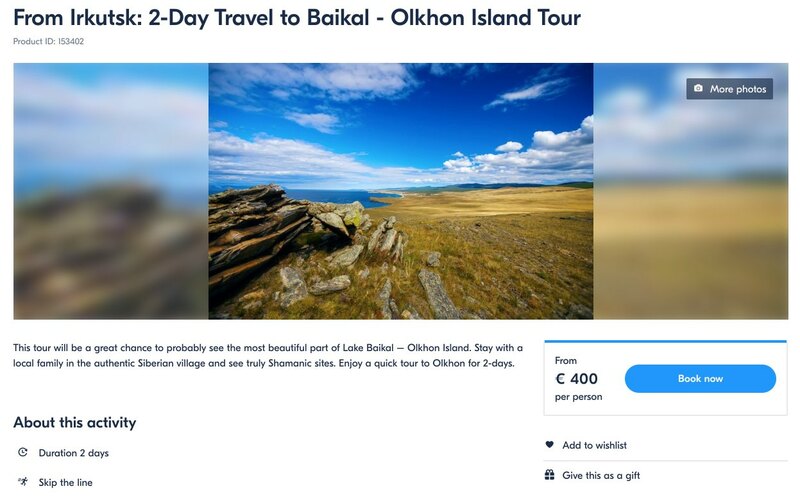 Regarding accommodations, there is a lot of offer on Olkhon Island, whether they are guest houses, hostels, inns, small hotels or family homes. Almost all are located in the center of the island, in the main village of Kuzhir. If you prefer to make this excursion through an organized tour, through GetYourGuide you can hire a two-day excursion to the Olkhon Island. 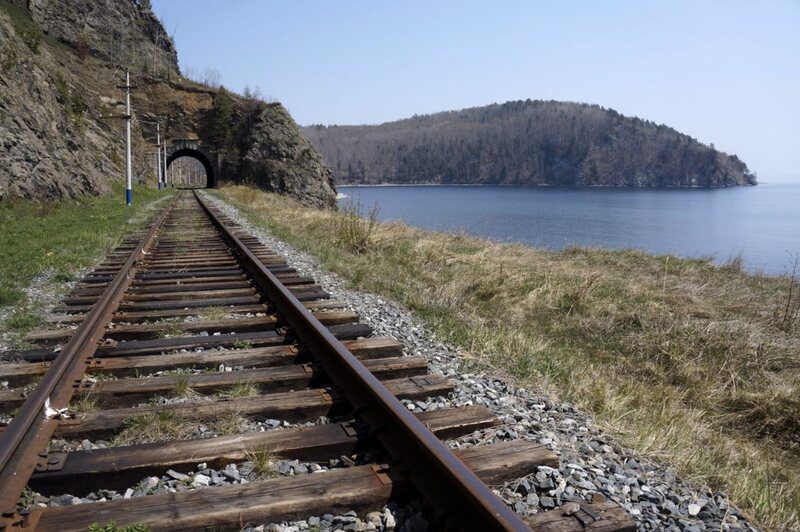 The Circum-Baikal is a historic railway line that runs along a small stretch of coastline at the southern tip of Lake Baikal, from the town of Slyudyanka to Port Baikal. Due to the difficulties of the terrain, it is often considered a unique engineering feat, and one of the most picturesque places in the Baikal area. Until the mid-twentieth century it was part of the main line of the Trans-Siberian Railway, but later an alternative route was built to avoid it. Secondly, you can take the Circum-Baikal from Slyudyanka to Port Baikal, using a suburban public train number 6201 (or 6202 if done in reverse). It is the train that residents in the area use daily to get around. Its route takes about 5 hours and makes stops at all stations. There is only one daily train. 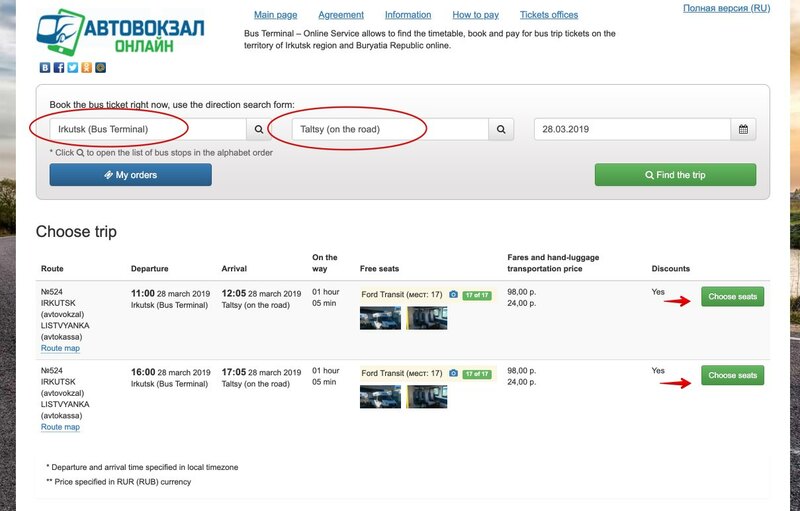 The return to Irkutsk can be done by taking the ferry from Port Baikal to Listvyanka (you can find the schedules on this website) and from there to Irkutsk. 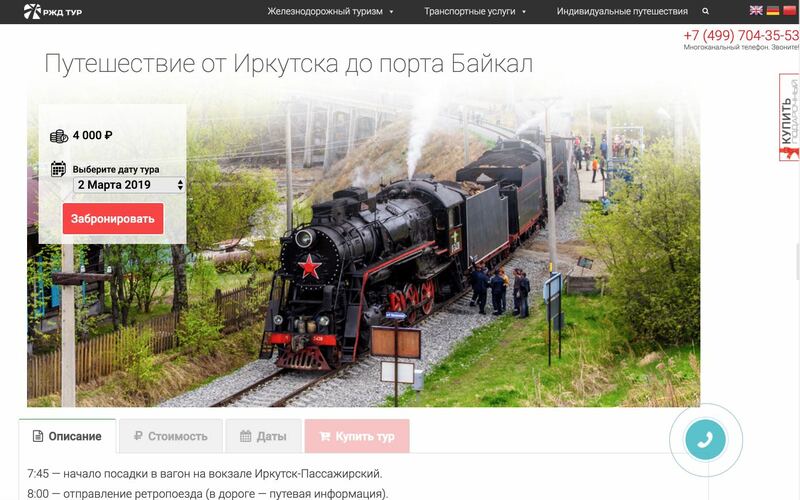 However, travelers who visit the area usually make this trip with the Circum-Baikal Railway, through one of the various organized tours that are made with more tourist trains that make stops to go down and visit the area. The own national company of Russian trains also makes this excursion between March and October by means of a classic steam train. It costs 5,000 rubles. You can find all the information on this link (in Russian, but you can use Google’s automatic translator). The next stop of the Trans-Siberian Railway, coming from Irkutsk, is Ulan-Ude, capital of the Republic of Buryatia and a place where Western and Eastern cultures merge. The train journey from Irkutsk to Ulan-Ude can take about seven hours. You can spend the night or two in this city. 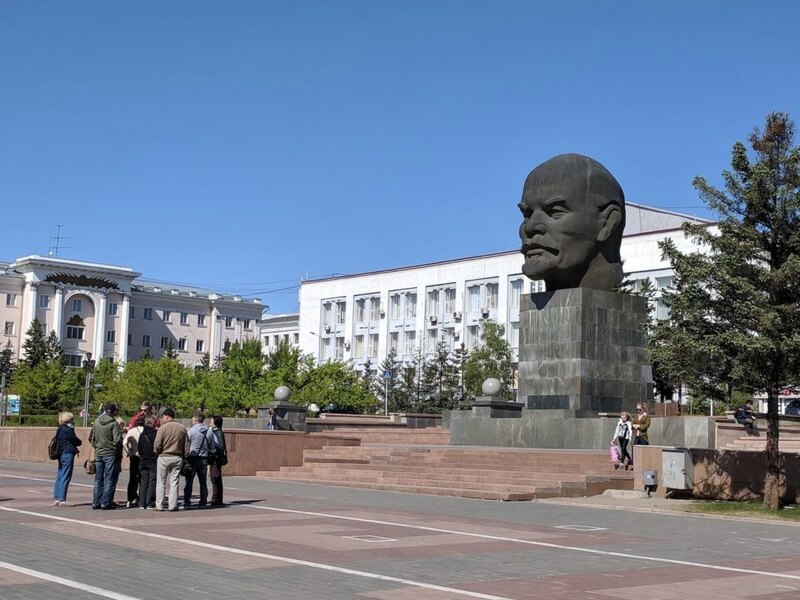 Of this city the first highlight you will see is the monument to Lenin, in the Soviets square, but it is only his head. Measuring 13.5 meters and of 12 tons of weight, it is an authentic record. 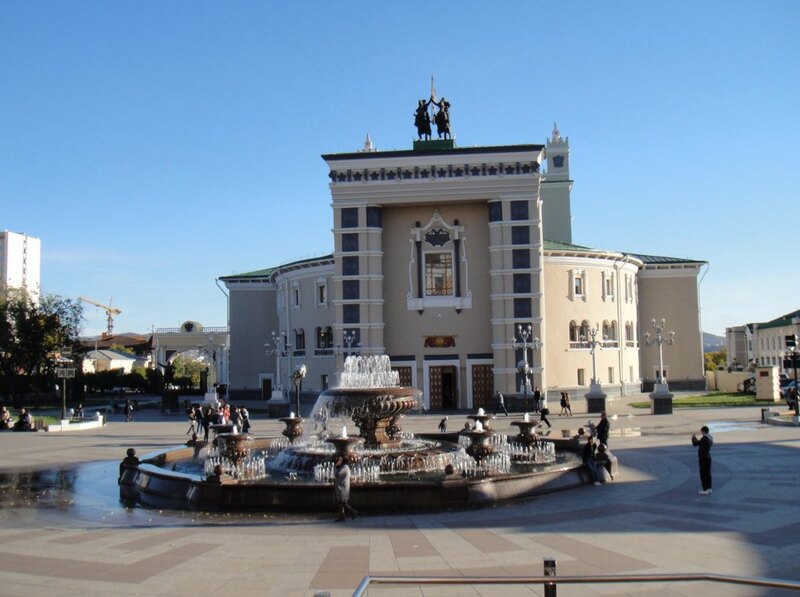 This theater is one of the great prides of the inhabitants of Ulan-Ude. The room inside is beautiful, with a lot of gold on its walls and its seats. The symbols of communism are on its curtain and are found in various rooms. 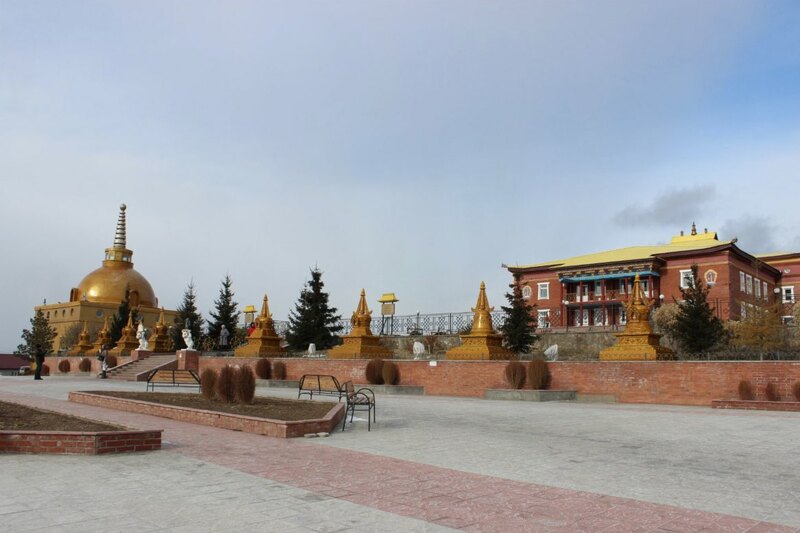 But above all you have to see the nearby Buddhist temples or monasteries: Ivolginsky Datsan, the most famous and largest in Russia, or the Datsan Rinpoche Bagsha. In both we will approach Buddhism and the Buryat people, of Mongolian descent, and at the same time we will contemplate breathtaking views. 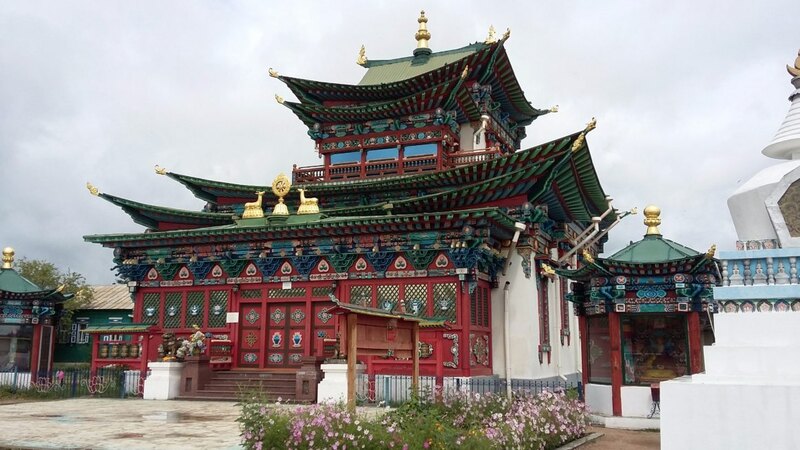 Or, as a rarity, the Zungon Darzhaling temple, Russia’s only Buddhist female monastery. In Ulan-Ude, Buddhism, the Russian Orthodox Church and shamanism coexist. You should try the local gastronomy or drinks, such as tarasun or “milk wine”, also known as arhi, the national drink of Buryat, based on dairy products. Finally, I can say that in Ulan-Ude you can also visit Olkhon Island. It is a less tourist saturated alternative in summer, than the excursions that are made from Irkutsk. The Baikal Ice Marathon, with its 42 km 195 m, won in 2018 by the Spanish José Manuel Soto in extremely hard conditions. There is also a test field of 21 kilometers. The Marathon is part of Winteriad, a winter festival that includes fishing and ice golf tournaments, dog sledding, ice skating, etc. The Great Baikal Trail Network, under construction and with the help of volunteers from all over the world. Bike rides, which you can rent, while staying in wooden cabins. Riding a horse, driving a car on the ice of the lake or fishing. Take a guided tour by boat, rafting and kayaking, even snorkeling. You can also make cruises of different duration through the whole lake (from May to December). In winter you can ski at the Listvyanka station. And one last activity that I add, near Lake Baikal, is the visit to the spectacular Tunka National Park, on the border with Mongolia. In short, the possibilities of Lake Baikal are immense and it would take several months to explore the entire area. Anyway, in this article I have summarized for you the most I could of the most important things to see and do in Lake Baikal in a few days visit. Below you can leave your thoughts, questions or comments.